Revamp Your Home for the Holidays! Ok, ladies … our husbands all have one thing they’ve held onto from their single days that we just can’t seem to talk them into getting rid of. 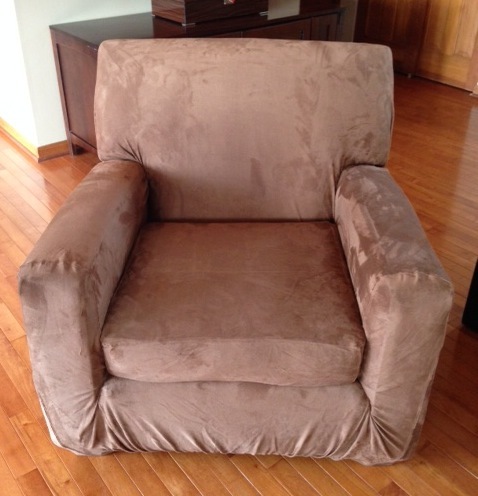 For me and my husband, Pete, it was the “Ugly Chair.” He bought it right after a bad break up when he moved into a new place, furnished the whole place, and this was his accent chair. 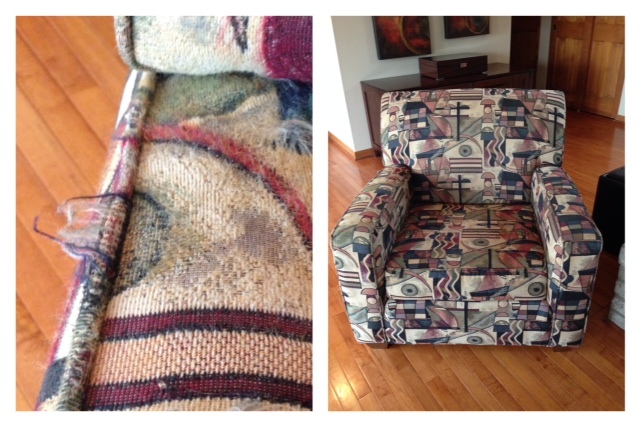 Problem is that it looks more like the 80s threw up on it than an “accent piece.” And our dog has taken a liking to it over the years, which means it’s now covered in rips and tears. I have been trying to talk my husband into getting a new chair, but he said he just couldn’t let it go. Then I looked into getting it recovered in distressed leather and it’s just as expensive as a new chair, so I couldn’t let that happen. So we were at an impasse. 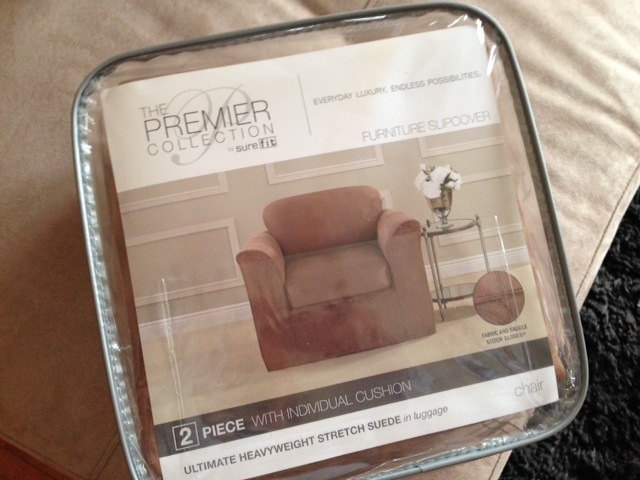 That is, until I found this “Surefit” slipcover site that has a ton of different high-end fabrics, and they’re easy to put on…. a “sure fit” if you will. haha! The fabric is a bit stretchy and it’s elastic around the bottom, so I guess that’s what makes it fit so snug. Check out their site at www.surefit.net.